Facebook is making a major move into mobile advertising by testing a new service that enables the social media network to deliver online ads directly to mobile software apps outside of the network. The service is similar to Google’s AdSense ad network, which delivers ads to third-party websites. But Facebook knows that the mobile market needs that type of network. So the social media giant is adding its advanced targeting technology to that online ad approach and bringing it to mobile devices. While the service is designed to make mobile ads more relevant and help app developers make money, it’s also meant to make Google nervous by challenging their power in the fast-growing mobile ad market. Wired.com featured details on Facebook’s move toward mobile dominance. Facebook is a digital data goldmine because it collects so much information on users’ online patterns and preferences. This gives them the power to target ads and offers much more effectively for better results and revenue. And now they’re offering that targeting insight to outside mobile apps. 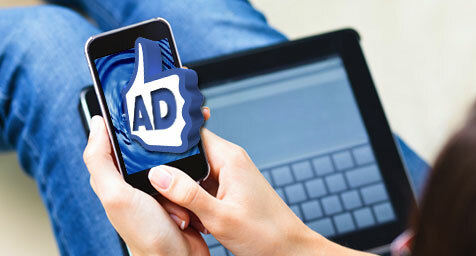 Facebook has always planned to produce an online ad network like AdSense. But the social media network realized that making one for mobile was a prime opportunity to capture the mobile ad market before Google, as well as regain the ground they had lost to Google and Apple in their initial hesitance to embrace the mobile market. Keep up with where mobile advertising going. Contact MDG Advertising today at 561-338-7797 or visit mdgadvertising.com.